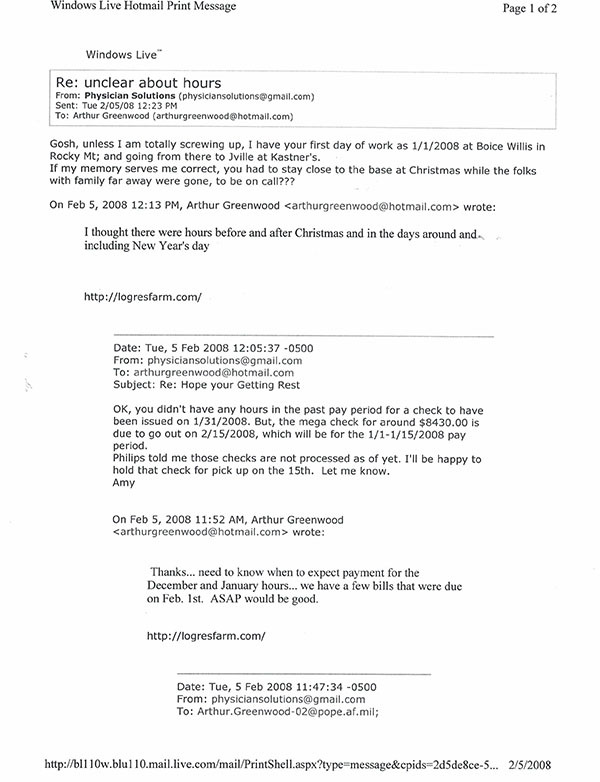 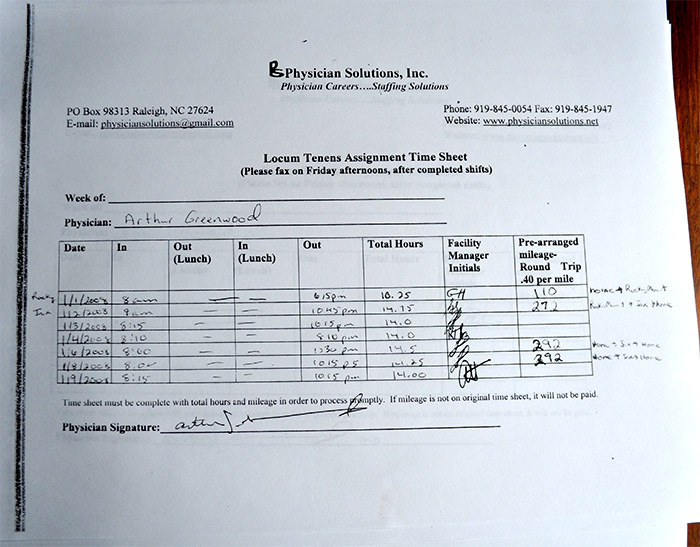 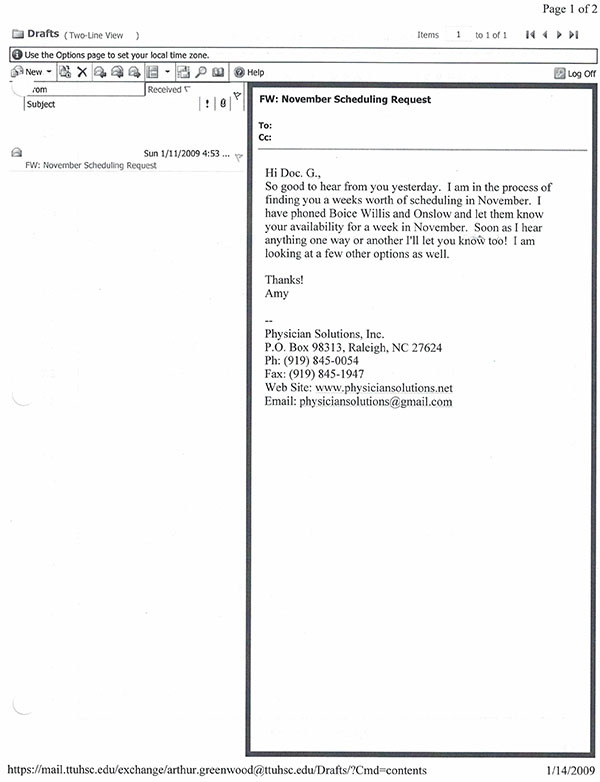 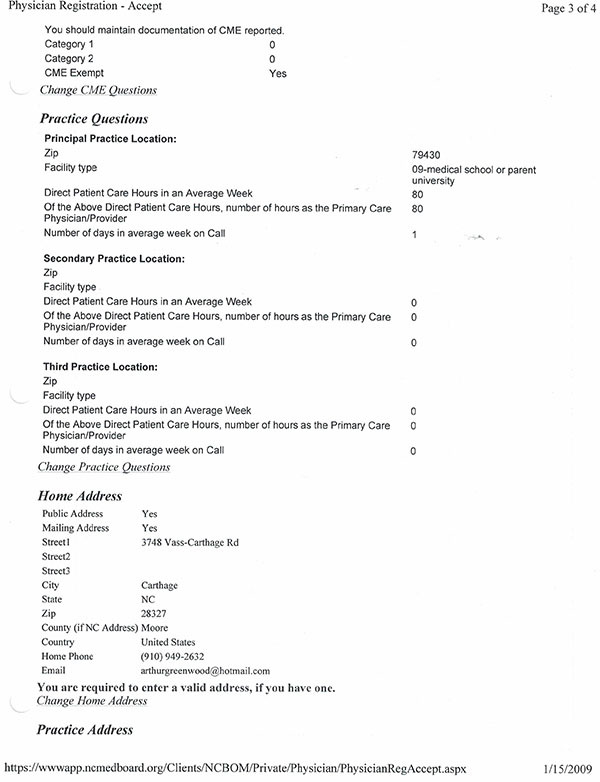 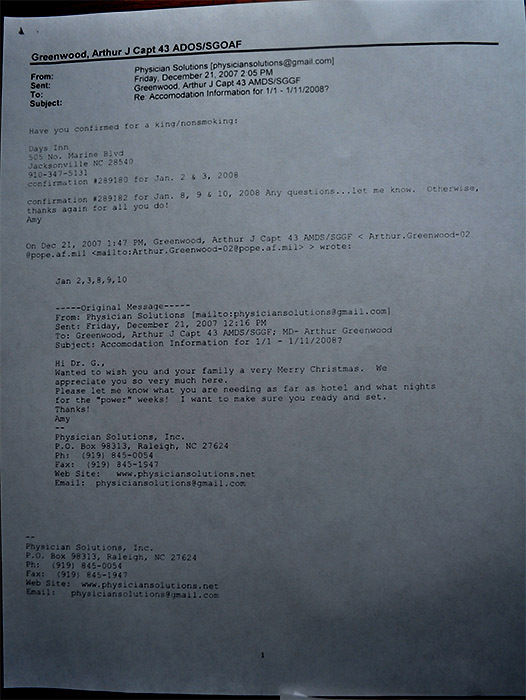 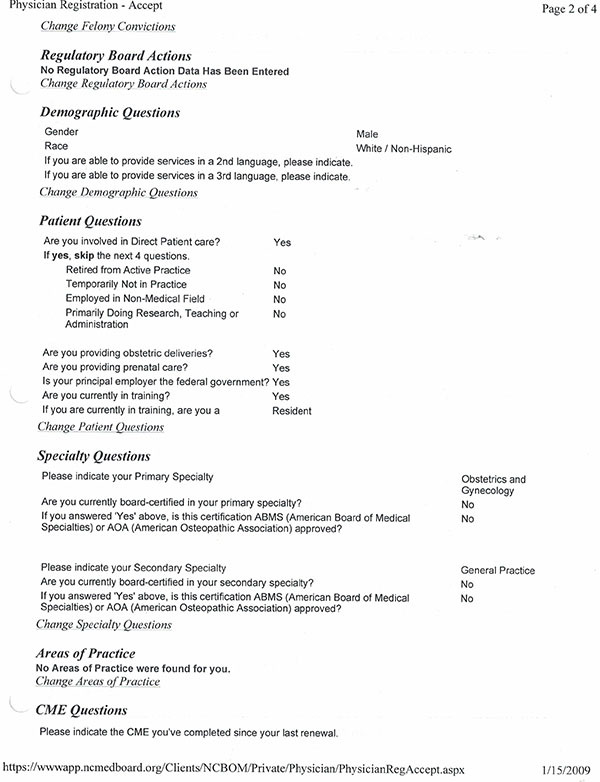 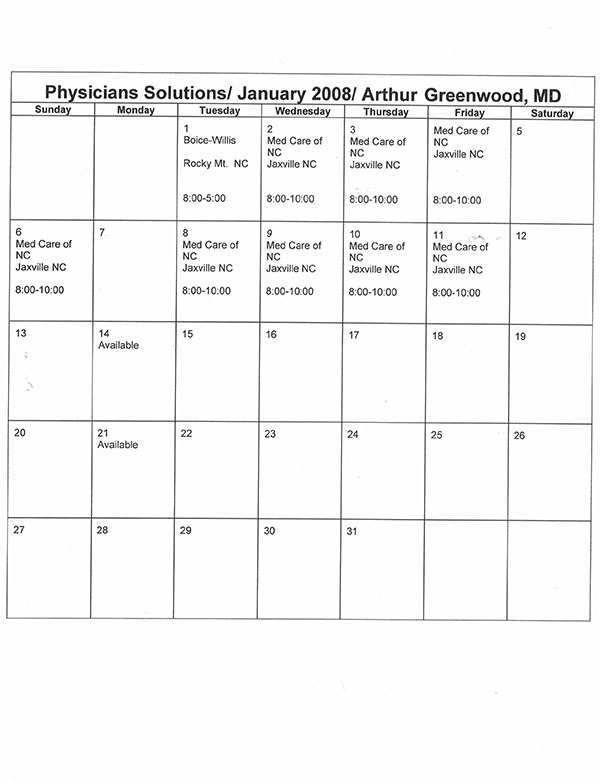 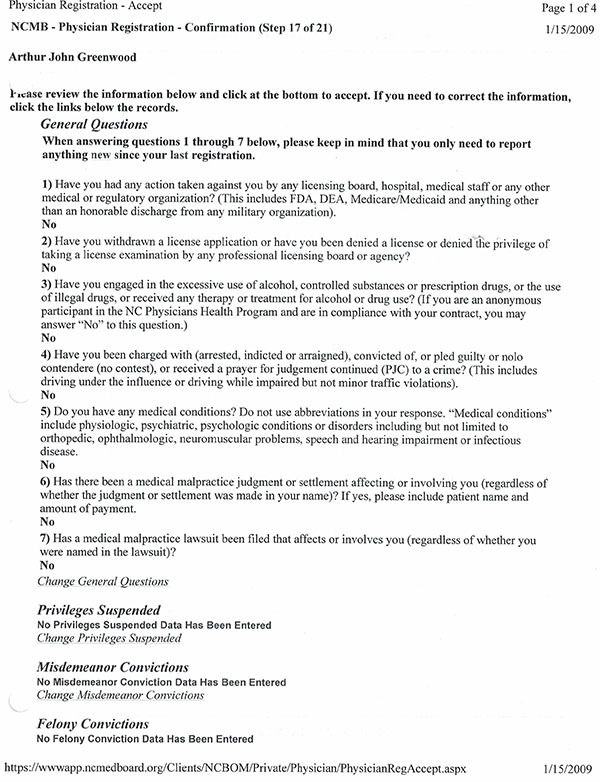 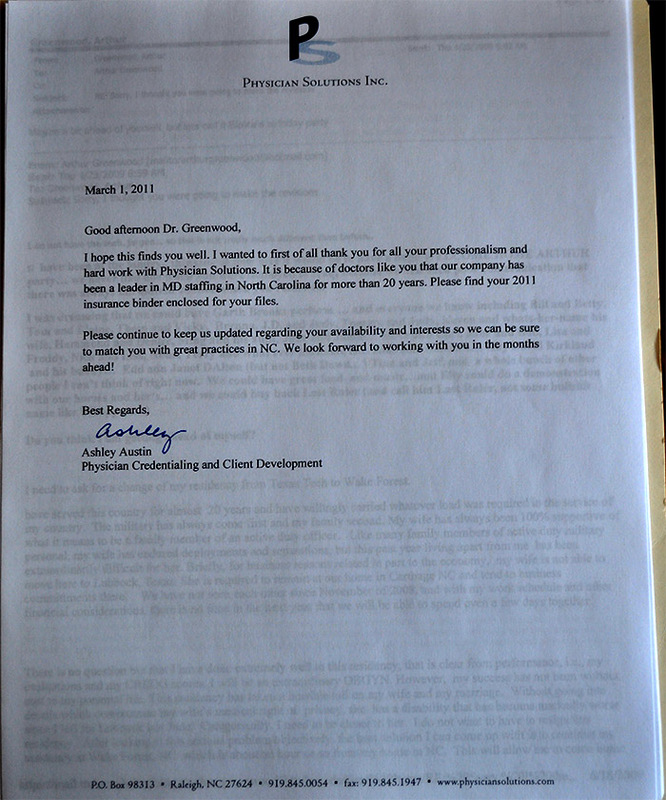 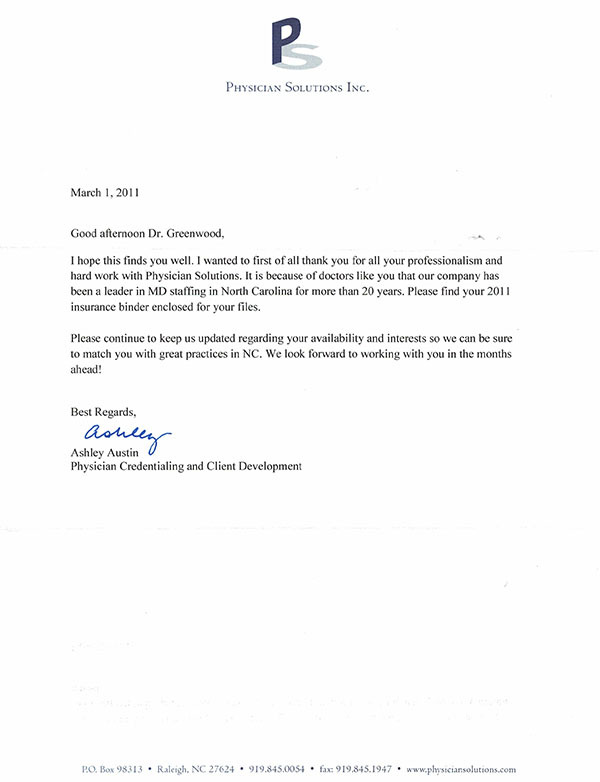 There are literally hundreds of documents related to USAF Maj. Arthur John Greenwood’s years of illegal moonlighting for Physicians Solutions, all of which was strictly forbidden by contracts USAF Maj. Greenwood signed with the United States Air Force, the Texas Tech OBGYN Residency and the Wake Forest Baptist Medical Center OBGYN Residency. 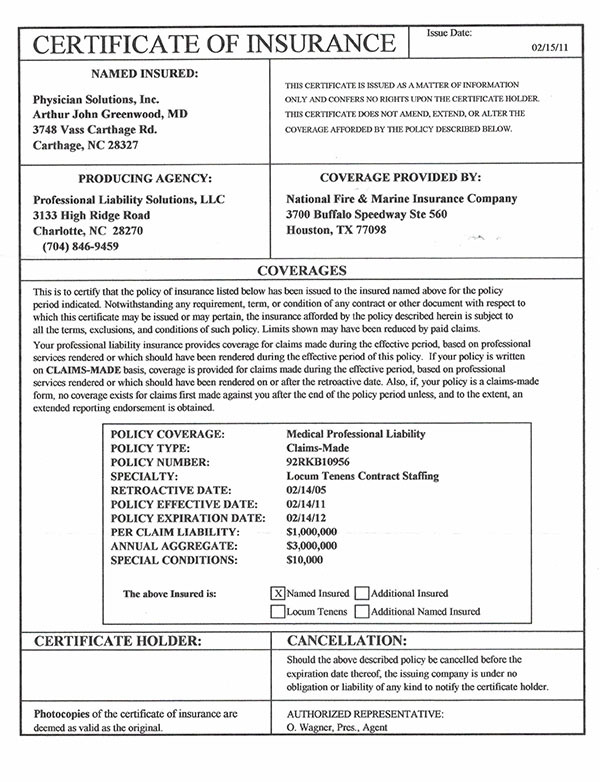 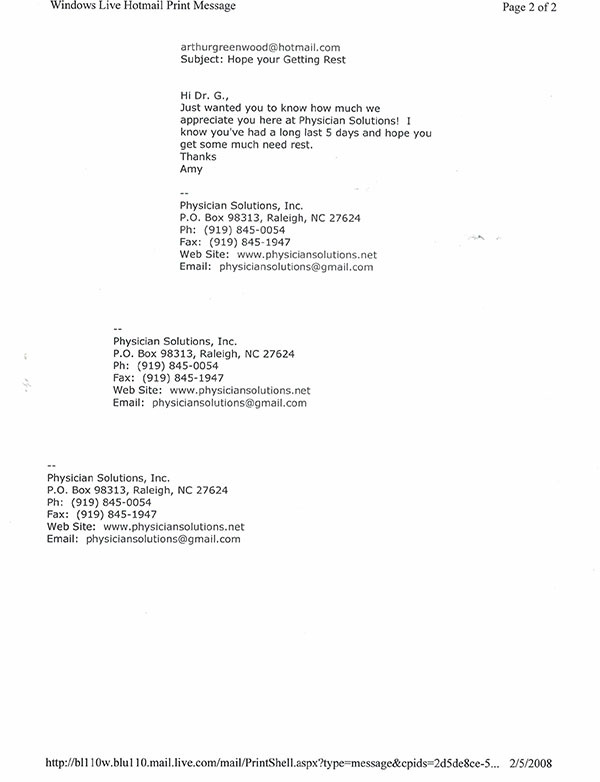 Here below is just a sampling, starting with some of the 1099’s for moonlighting for Physicians Solutions going back to 2004. 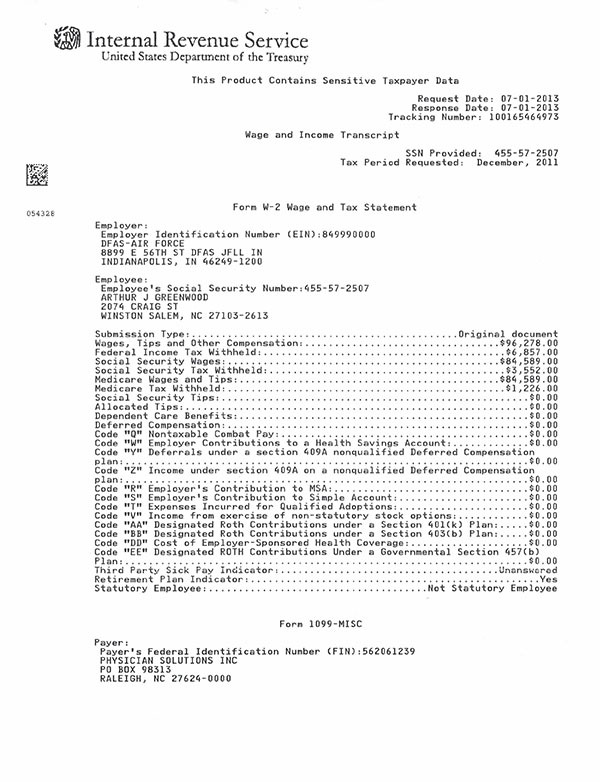 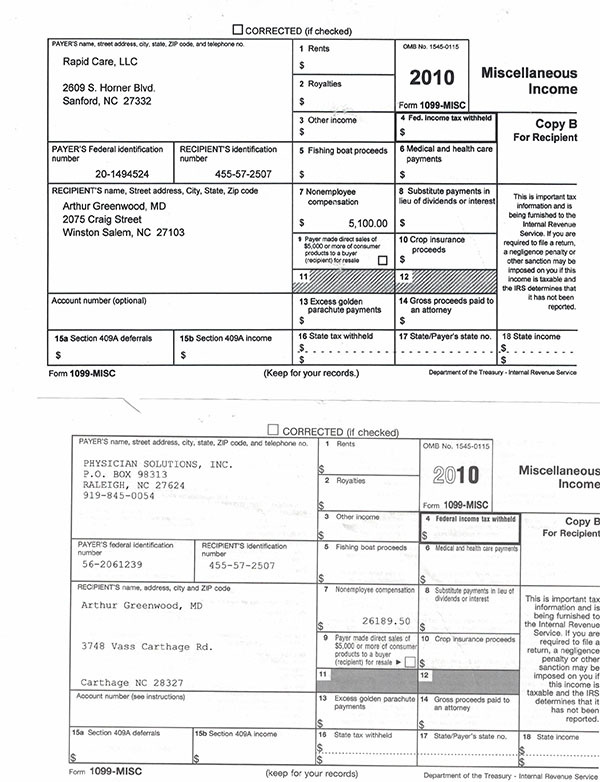 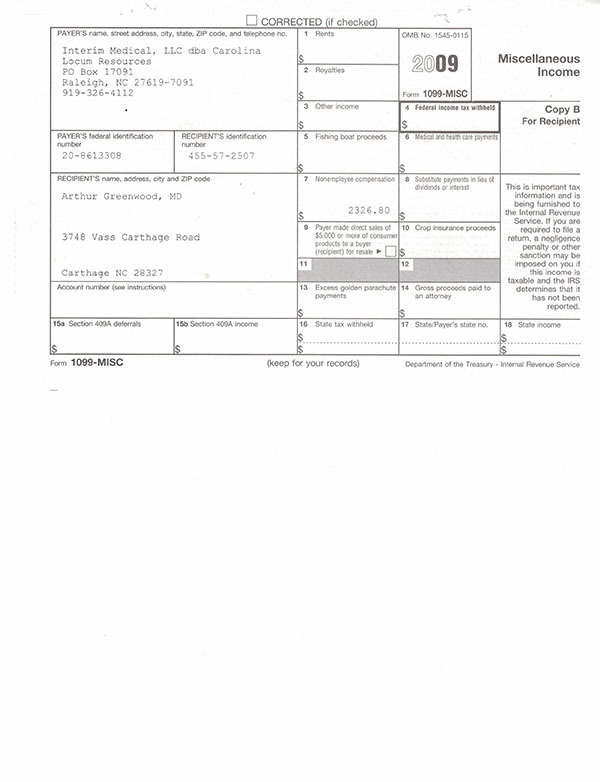 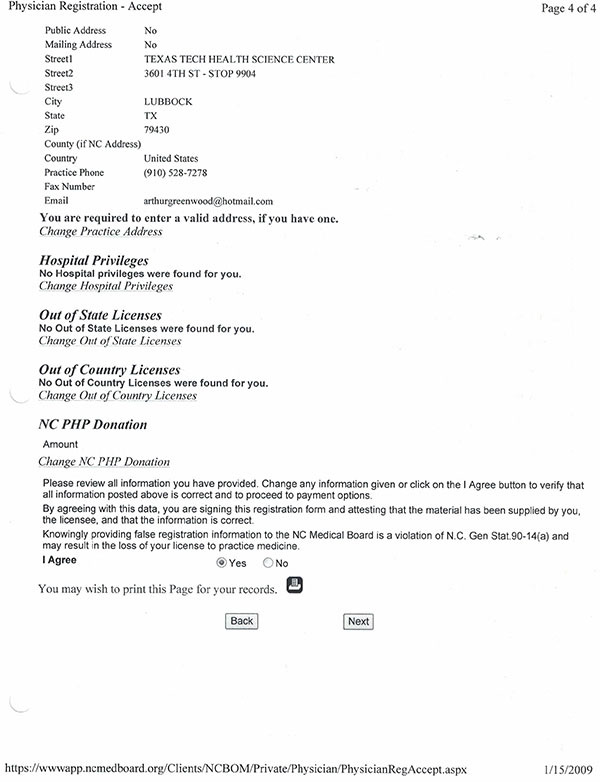 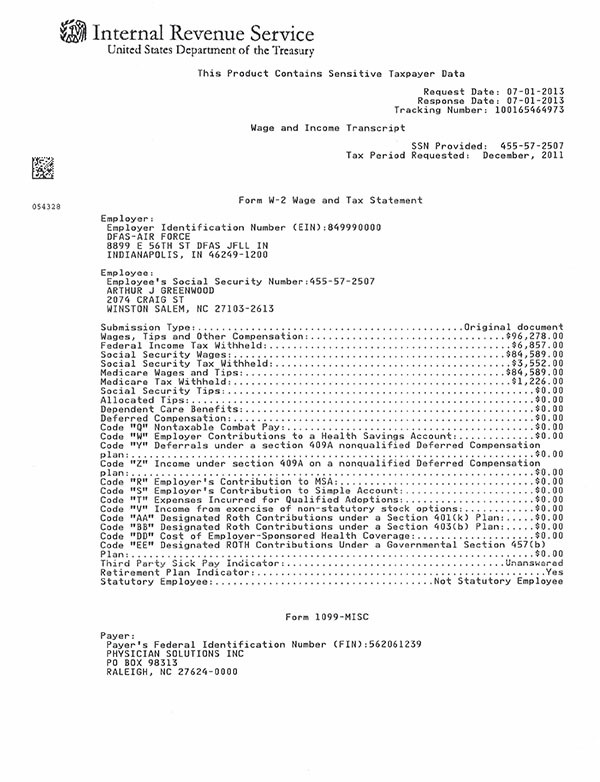 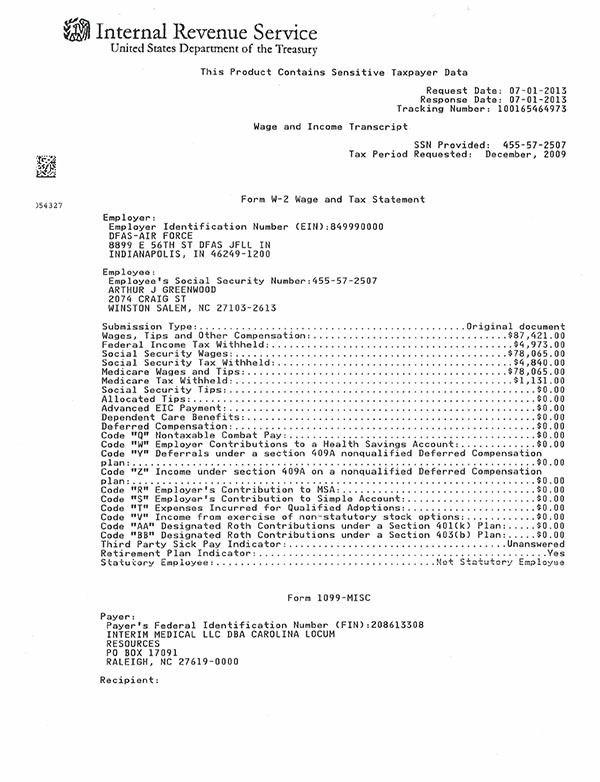 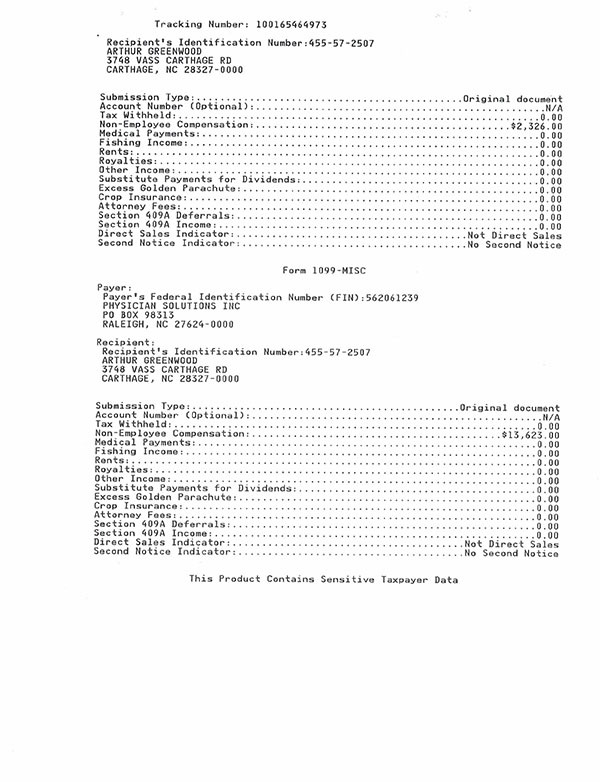 All of the 1099’s are avaialiel under the pages for Tax Fraud Tax Evasion found here.